World War I seems far away from Ireland's Dingle peninsula when Rosy Ryan Shaughnessy goes horseback riding on the beach with the young English officer. There was a magnetic attraction between them the day he was the only customer in her father's pub and Rosy was tending bar for the first time since her marriage to the village schoolmaster. Then one stormy night some Irish revolutionaries expecting a shipment of guns arrive at Ryan's pub. Is it Rosy who betrays them to the British? Will Shaugnessy take Father Collin's advice? Is the pivotal role that of the village idiot who is mute? Ryan's Daughter is a David Lean's movie released in 1970. It is also one of the hardest movie ever shot - and still one of the worst MGM nightmare. 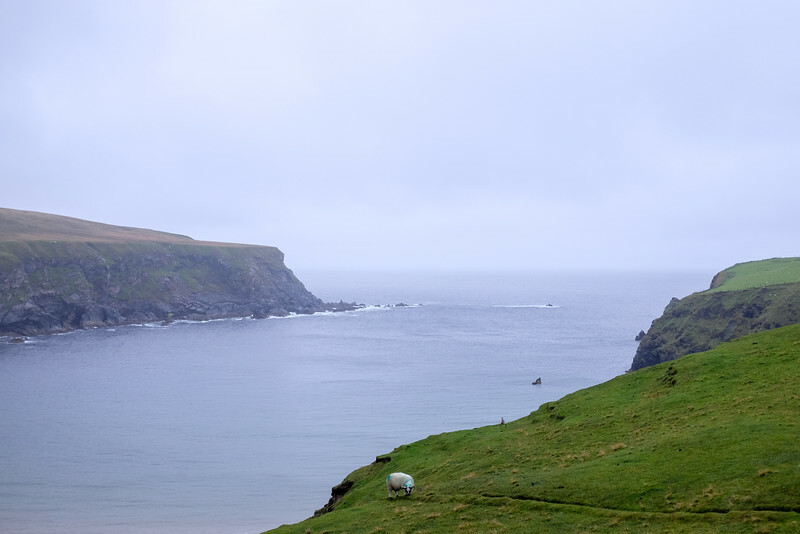 Among all the locations in the whole world, Lean decided to settle in western Ireland, on the not-yet-famous Dingle Peninsula in county Kerry. What was initially a few month shooting turned up to last more than a year, putting the small Dingle town into the tourism highlights. The reason why the filming has been so difficult is profoundly linked to its director perfectionism. The storm scene is one of the best examples of bad luck in cinema: when Lean decided something, it had to be exactly has decided, and when Lean wanted a huge cataclysmic rain, as simple everyday storm was not surely enough. But that summer in western Ireland, no storm fulfilled Lean's wishes. The director's solution to this? Shooting the end of the film in... South Africa - and painting rocks so that they look like Irish ones. A wonderful yet underrated movie in a magical place - and one of my dad's favorite movies!